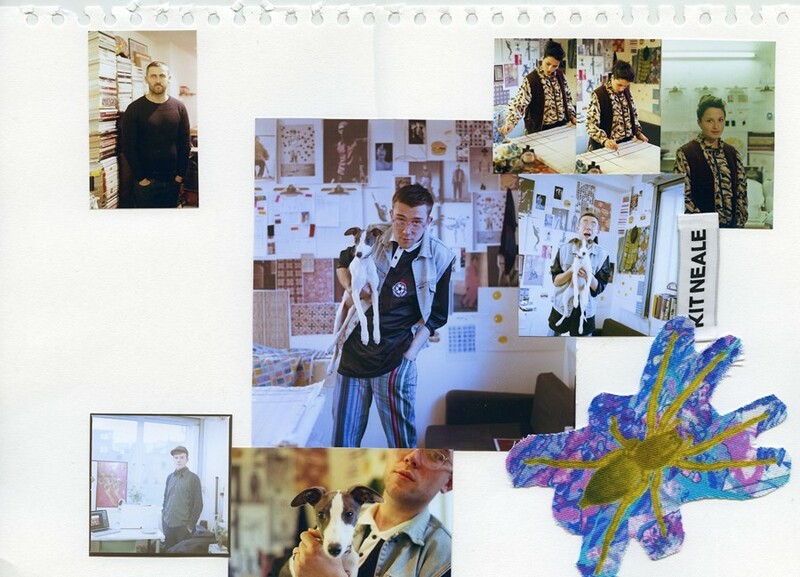 Dazed Digital: What was the biggest challenge in putting the collection together? Kit Neale: Christmas. It's very inconvenient. DD: Favourite advice you've had from someone? Kit Neale: 'Be the king of the world, not the king of Shoreditch'. DD: Any tips for staying calm during fashion week? Kit Neale: Drink lots of gin, neat. DD: ...Or staying awake when there's so much work to do? Kit Neale: Take lots of ginseng. DD: What were the first pieces in the collection you designed? Kit Neale: We always start with the prints. We do some sketches of designs, but they're often dropped. When we get the fabrics back and we start from scratch. DD: What are you most proud of? Kit Neale: Getting it done. DD: What about the soundtrack? Kit Neale: It's a clash between The Fall and Stravinsky's 'Rite of Spring'. DD: What other shows are you looking forward to seeing? Kit Neale: MAN, a very biased choice as I'm in the Fashion East bosom but it's always a highlight! Sadly, it clashes with my presentation so I won't make it. I can't wait to see what Craig Green presents, I love his work. DD: What's your favourite look on a man? Kit Neale: His own look, not one dictated for him. DD: Who embodies the spirit of your collection? Kit Neale: Michael Clark is this season's muse. Kit Neale: Greasy, muppets, trippy. DD: What difference does fashion make? Kit Neale: It makes some people look good and others not so, but as long as they feel good and are happy, we've done our jobs. It contributes a great deal to the economy but apart from that, it's really not that important, is it?